These traditional Native American stories along with related activities show parents and teachers how to teach children the importance of wildlife in Native American traditions. As the stories unfold and the activities come to life, the importance of our connections to animals became apparent. Features traditional Native American stories. Includes field-tested activities appropriate for all ages. Connects wildlife ecology and environmental issues. Fosters creative thinking and the synthesis of knowledge and experience. 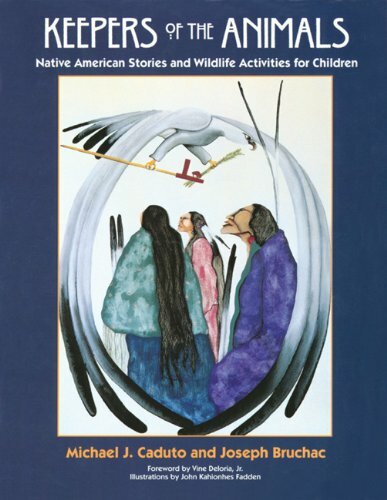 The stories in this book present some of the basic perspectives that Native North American parents, aunts and uncles use to teach the young. They are phrased in terms that modern youngsters can understand and appreciate, along with eye-catching illustrations and photographs throughout. Look for other Fulcrum books in this series: Keepers of the Earth, Keepers of Life and Keepers of the Night.